Optimism + Experience = Executing Beyond What's Possible. Savvy strategizing, precise planning and flawless execution combine to deliver outstanding results. Kim helps build companies and destination awareness by staying ahead of trends, keeping her pulse on markets and scaling high-impact excellence. Through optimism and experience she knows what’s possible. Then she aims even higher. And she inspires and motivates others to do the same. Challenge: Assemble + empower the world’s largest team of expert indie travel writers. Results: At Sutro Media, Kim started with nine authors and assembled a team of 600+ authors who delivered more than 450+ apps in short order. 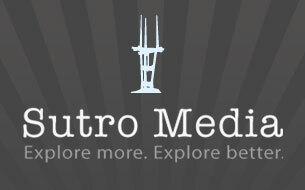 Sutro was named one of Entrepreneur magazine’s Top 100 Brilliant Companies in 2011. Challenge: Massively expand a travel publisher’s regional footprint of beloved and well-respected guides to national and international destinations. Results: Kim recruited 150 authors who, within four years, delivered 150 new books to Countryman Press, a division of W.W. Norton & Company, quadrupling the Explorer’s Guides, Great Destinations and Photographing series. She also launched two new series – Backroads & Byways and Great Escapes.